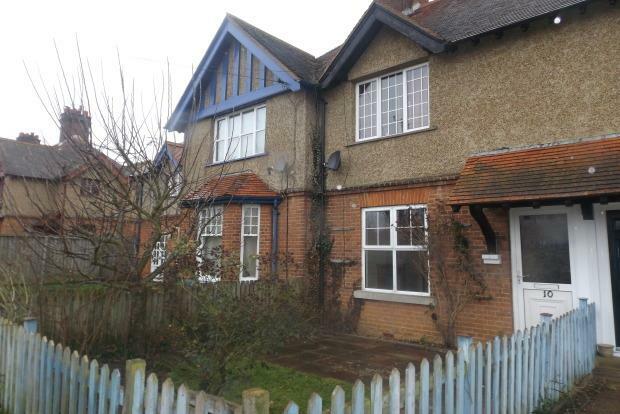 3 Bedroom House To Rent in Woodbridge for £800 per Calendar Month. Upper Melton Terrace is an enchanting Edwardian development situated in a prominent position on the edge of the village of Melton. The property offers views across Ufford Park and lies within walking distance of the local amenities and is within convenient reach of the market town of Woodbridge and the well served village of Wickham Market. Melton is a popular Suffolk village which lies to the north of Woodbridge, convenient for the A12 and the attractions of the Suffolk Heritage Coast with its own amenities and Primary School. Most houses in this terrace are accessed from back to front as there is a private road and parking at the rear. Front entry is mainly a grass verge so can be easier to enter the rear of the house. In through the front you are greeted with entrance hall where there stairs to first floor. On the left hand side is the first of 2 reception rooms (3.96m x 3.73m) comprising of working feature fireplace with surround a great feature giving extra warmth and comfort in the winter months. Front aspect double glazed window gives a picturesque view. Exposed wood flooring to finish and under stair storage. An altogether cosy family space, ideal for relaxing with a quiet outlook over the raised bank and golf course beyond. The natural dining room (4.24m x 3.00m) follows, complete with double glazed window and radiator. An ornamental feature fireplace with chimney recess dominates the space. Exposed and treated wood flooring further adds to the character. Back door access into the country style galley kitchen (4.17m x 1.93m) with tiled flooring and window view of the courtyard. Pine fronted base level units with wall mounted cupboards above. Nest of pull out drawers. A Gas hob and oven is supplied with former larder space available for a larger fridge/freezer. Completing the ground floor accomodation is the family bathroom. Recently refitted throughout it has a crisp white finish, with a built in storage cupboard with plumbing for a washing machine. Obscured glazing to side and rear. Bath with shower attachment over, low-level W.C and wash hand basin. The paved courtyard which leads to the shared access road offers parking for one vehicle. The accommodation is centrally heated by gas-fired radiators and is double glazed throughout. Stairs lead up to the first floor accomodation where there are three bedrooms. The Master (3.76m x 3.15m) is front aspect with double glazed window. Built-in cupboard space and white painted wood flooring. Bedroom two (4.06m x 1.88m) 13'4" x 6'2" (4.06m) rear aspect UPVC double glazed window. Wood effect laminate flooring and some useable shelving. Completing the accomodation is bedroom three (3.12m x 2.29m) again with UPVC double glazed window and real wood flooring. Ideal for working or retired professionals, unfurnished and available for immediate occupancy, no smokers. A well behaved family pet may be considered. This home needs to be seen to be appreciated, call now to book your viewing appointment.